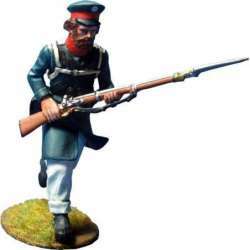 East prussian landwehr There are 6 products. 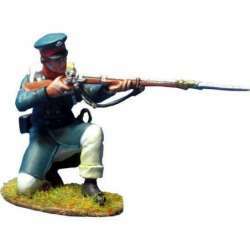 Painted 1/30th scale figure.It belongs to the Napoleonic periodReference NP 357 East prussian Landwehr kneelingModeled, cast and painted in our workshop. 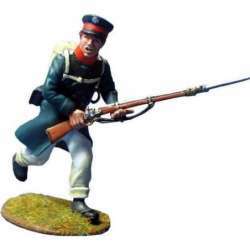 Painted 1/30th scale figure.It belongs to the Napoleonic periodReference NP 356 East Prussian Landwehr charging 3Modeled, cast and painted in our workshop. 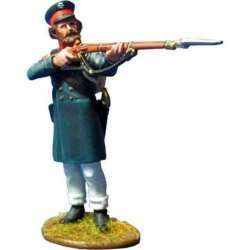 Painted 1/30th scale figure.It belongs to the Napoleonic periodReference NP 355 East Prussian Landwehr charging 2Modeled, cast and painted in our workshop. 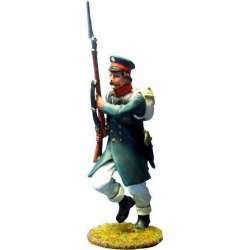 Painted 1/30th scale figure.It belongs to the Napoleonic periodReference NP 354 East Prussian Landwehr standing 1Modeled, cast and painted in our workshop. 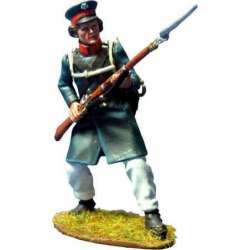 Painted 1/30th scale figure.It belongs to the Napoleonic periodReference NP 353 East Prussian Landwehr firingModeled, cast and painted in our workshop. Painted 1/30th scale figure.It belongs to the Napoleonic periodReference NP 352 East Prussian Landwehr charging 1Modeled, cast and painted in our workshop.